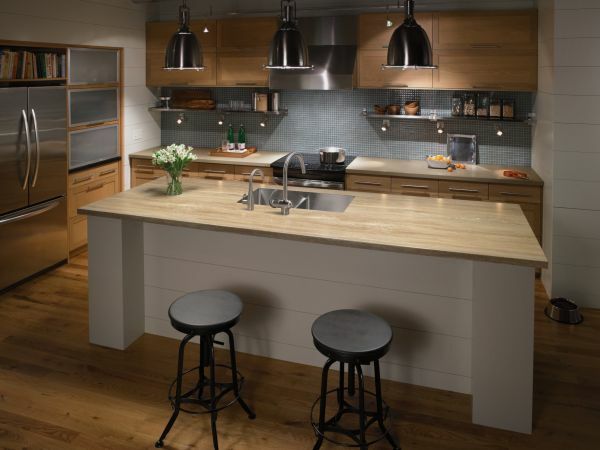 Choosing the right countertop for your kitchen is indeed not an easy task. With so many choices of different materials and brands and models, the options are just too overwhelming. However, if we are not careful, we may end up choosing a bad quality countertop that is just not strong and durable enough for our needs and uses. However, if you are currently looking for something budget-friendly, you may want to consider a laminate countertop. Laminate countertops are affordable and budget-friendly, yet they offer good looks and reasonable durability. 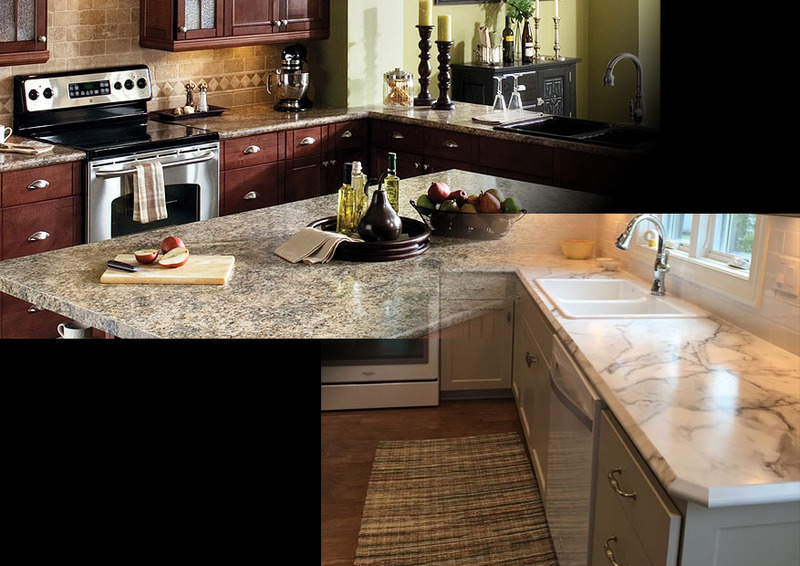 Right now, the two most recognized brands of laminate countertops are Wilsonart and Formica. Well, perhaps, Formica is the more popular one of the two, considering that it is the oldest type of all laminate countertops in the industry. The word “Formica” was even considered synonymous to “laminate”. However, Wilsonart has tried to catch up, and, so far, has been quite successful to bring more options to the consumers. 1 What are Laminate Countertops? Laminate countertops are made from multiple layers of plastic which are bonded to a particleboard or a kraft paper in order to create a solid countertop surface. Such construction allows laminate countertops to be available at more affordable prices compared to most other countertops, such as marble countertops and stainless steel countertops. In addition, laminate countertops are often available in various options of colors, textures, and patterns. You may even find some models that have been modeled to appear like granite, marble, and stainless steel. In a glance, most people will not notice the difference between these laminate countertops and the real things, though more experienced people may see through the imitations. In addition, laminate countertops have the advantage of being lightweight. Compare them to those stone and metal countertops. They are very lightweight that you can easily bring them to your home and install them by yourself. By installing the countertop by yourself, you can also cut down the labor cost, further reducing your total expense. Well, laminate countertops are indeed not as durable as the more expensive options, but with the right care, a laminate countertop can easily last for many years. Most laminate countertops are very easy to scratch, but some premium models may come with protective layers that make them much more resistant to scratches. You should also avoid placing hot items on a laminate countertop, especially the cheap one, because the heat can damage the plastic. You should clean a laminate countertop using a mild soap. Formica has been associated with laminate countertops for a very long time. No wonder; it is the oldest of all laminate countertop manufacturers. At some point in the past, the most available designs are fake-looking granite finishes. Due to the popularity of granite countertops, Formica started to produce granite laminate countertops – laminate countertops that have been designed to appear like granite. Formica photographed very large slabs of real granite that can be as wide as 5 feet. The photographs were then used on the Formica 180fx Series in high-def. These granite countertops are actually quite good-looking. The other interesting products of Formica would be the metal finishes in the Formica Authentix Collection. These are also laminate countertops, but have been designed to appear like metal. The clever reproduction really looks nice. Wilsonart has also produced various models and finishes for you to choose from. There are regular laminate countertops that appear like, well, regular laminate countertops. However, Wilsonart is aware that laminate countertops are thin, and thus lacking the visual depth and the three-dimensional quality of granite and quartz countertops. To better imitate those premium materials, Wilsonart has developed and released HD (High Definition) laminates under several premium series, such as Bella, Crystalline, Deepstar, Eclipse, Gemstone, Luna, Metallic, Passage, and Sedona. In terms of durability and lifetime, there are several different factors that we may need to consider when comparing Formica and Wilsonart. If you are really trying to press down your total expense, you may want to opt for a matte finish rather than a gloss or HD finish. Matte finishes are generally more affordable than gloss and HD finishes. When comparing the matte finishes of Wilsonart and Formica, the favor may go slightly more to the Formica side. This is because the matte finishes of Formica are somewhat thicker than Wilsonart’s, and thus can be more durable. They can resist scratches and wear slightly better. However, if compared to the gloss and HD finishes, matte finishes are indeed softer. They show scratches more easily. Therefore, if you choose a matte finish, make sure that you use it carefully. If you don’t mind spending some more bucks for a better look and possibly better durability, you can choose a gloss or HD finish. Gloss and HD finishes are generally more durable; they resist scratches better. Now if we are talking about the HD options, you may find the favor leaning more to the Wilsonart side. This is because Wilsonart’s HD lines that have been mentioned above are equipped with the AEON technology. It essentially adds a special protective layer on the surface of the countertop that prevents scratches. Thus, it will make sure that your countertop will look good for a longer time. The AEON technology is not available on all models; it is only available on Wilsonart HD and most of Wilsonart Premium Laminates models. A laminate countertop can be your choice if you have a very limited budget. It is affordable, lightweight, easy to install. It is not as durable as the more expensive options, but it can last for many years if maintained properly. 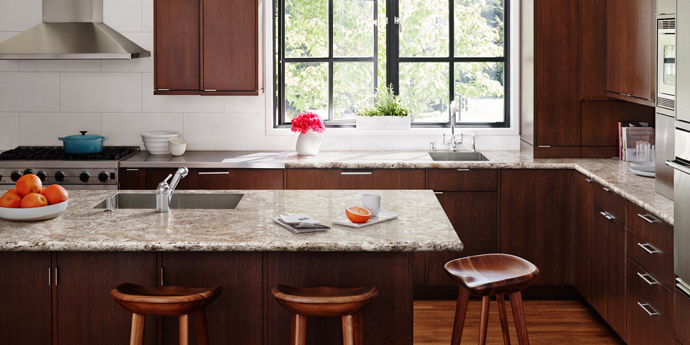 Wilsonart and Formica are two of the most well-known brands of laminate countertops. They both provide various models and patterns. Wilsonart HD models can be your choice if you don’t mind spending some extra bucks; these models are much more scratch resistant albeit being more expensive. However, if you really need to save some bucks, you can choose Formica’s matte models, which are somewhat thicker and thus more durable.